A pentagram is the shape of a five-pointed star drawn with five straight strokes. The word pentagram comes from the Greek word pentagrammon, a word meaning roughly five-lined or five lines. 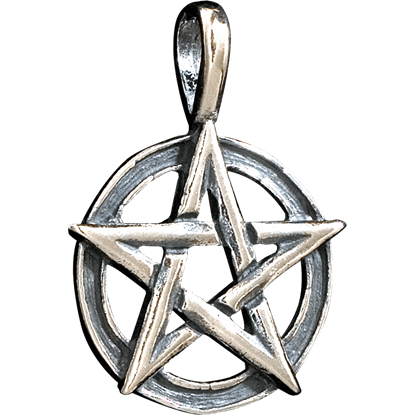 We offer pewter pentagram pendants that are hand made with English pewter in Sheffield, England. 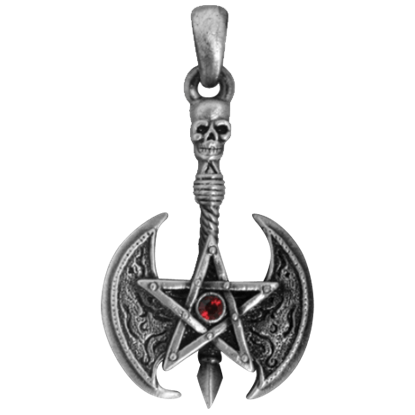 These pentagram pendants have a gothic style to them that would work great with any medieval or gothic outfit, as well as modern day clothing. We have pentagrams on crosses, in circles, or on decorative gothic designs. 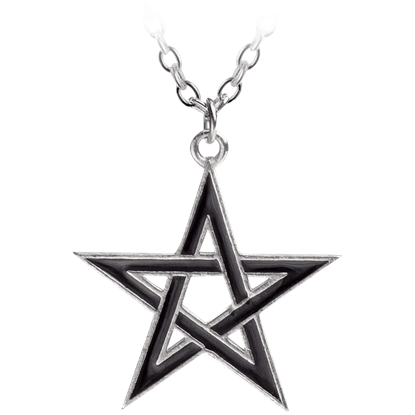 The Black Star Necklace displays a stark open pentagram enameled in black. An ancient symbol with many interpretations, some say the open pentagram represents outgoing awareness, actively approaching the challenges that lay ahead. 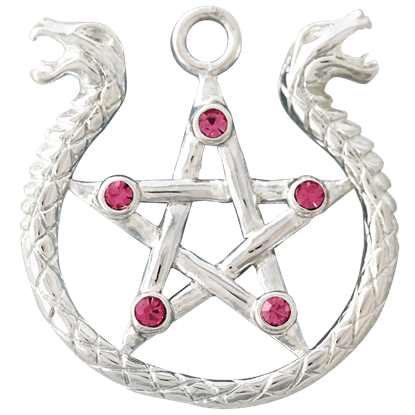 The Classical Pentacle Pendant captures the tradition and essence of an ancient symbol. With clean lines this stunning item will easily enhance any outfit within your current wardrobe in ways you never thought possible. 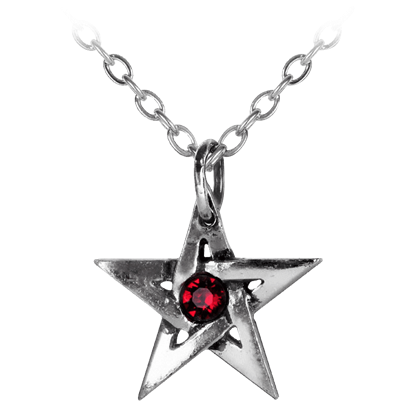 The Crystal Pentagram Necklace features a bright red Swarovski gem set within the center of this magical star of protection. 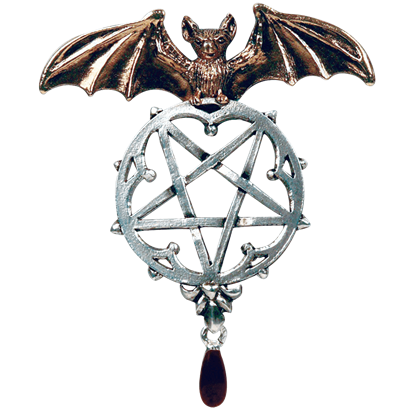 The gothic pentagram pendant makes a stunning reminder of the magical and natural forces of the world. The Dantes Hex Necklace replicates the eye-catching style of a medieval pentagram, surrounded by an outer circle. This detailed symbol of protection would be familiar to a 13th century literary genius such as Dante. Two powerful sources of magic meet in this magnificent pendant. 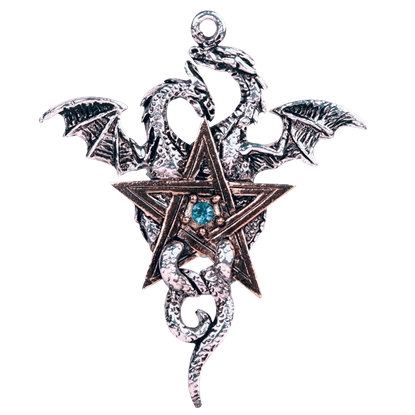 As its name implies, the Dracogram Necklace combines the powerful backing of the five-point pentagram star with the fantasy style of the legendary dragon to great effect. Balance is an important part of the universe. 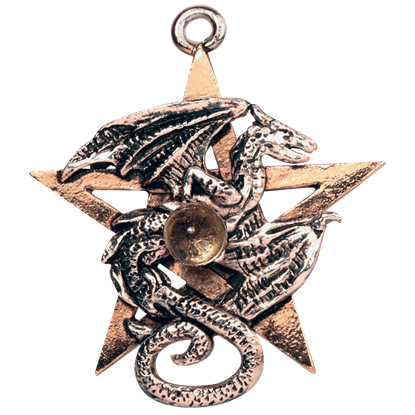 This Dragonstar Necklace emphasizes balance above all things, putting forward an attractive talisman that features points of power that make it appealing to the eye and to the spirit. 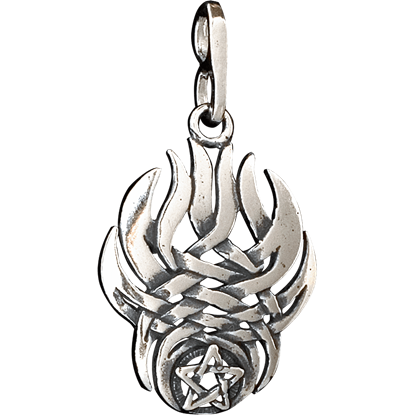 Channeling the spirits of fire the Flame Pentacle Pendant is as unique as it is dazzling. The temperature is rising, and this item will make you the hot topic of conversation when you wear it to your next social event. The goat of Mendes, as he is sometimes known, is an intrinsic part of the Black Sabbath. 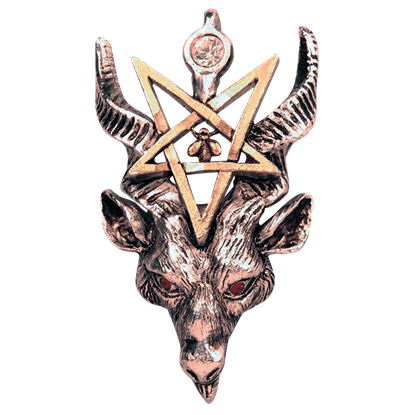 This Gothic Baphomet Necklace recreates the image and the symbolism of Baphomet, which for many is a symbol of black magic and darkness. You can be as bold and daring as the intimidating Gothic Pentaxe Necklace when you proudly wear this to your next social event. This original jewelry accent can be the piece that sets you apart from everyone else standing in the room. One part pagan talisman and one part gothic accent, this Lamia Reverse Pentacle Necklace is not only an appealing accessory to wear when you go out, but also a fine spiritual trinket that embodies the aspect of nightly renewal and life. 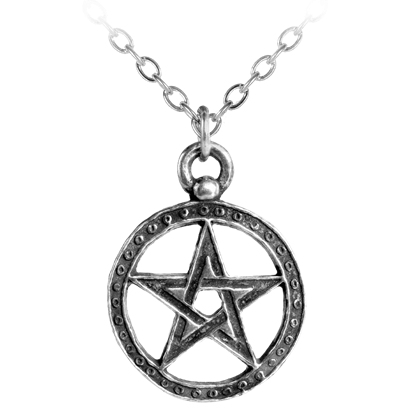 The design of the Medieval Pentacle Necklace originated during the Middle Ages, serving as one of the most common sigils to ward off demonic powers. 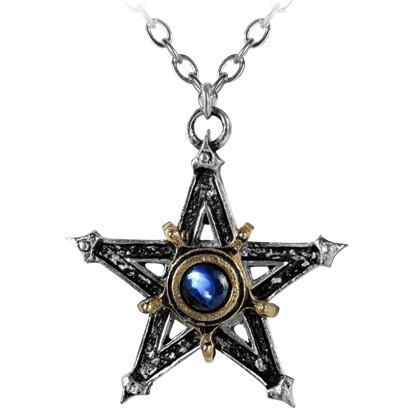 The pentagram pendant features two metallic tones and a blue cabochon crystal.